Online experience with a cohort of colleagues including all Everything DiSC® Profiles, facilitation materials and media. Learn to integrate & practice facilitating this incredibly powerful tool in multiple formats for leaders and teams. Extended period of time learning and facilitating this incredibly powerful tool in multiple formats for leaders and teams. NEWS: We will provide qualified clients with a personal EPIC access account for FREE! 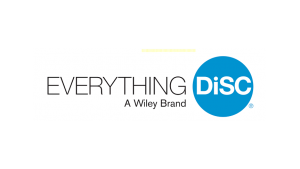 As an authorized partner in Wiley Publishing and Everything DiSC® we offer the option of providing your organization with its own online DiSC® account with EPIC. 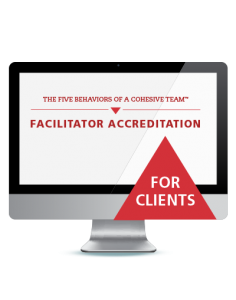 You become the online Administrator of your EPIC (Electronic Profile Information Center) platform providing a simple way to deliver Everything DiSC© and Five Behaviors of a Cohesive Team™ profiles. EPIC credits are the “currency” used in the EPIC system. Credits are needed to issue access codes for individual reports and generate group/facilitator reports. Simply purchase enough EPIC Credits to run your online assessments. When you run out of EPIC Credits, you may reorder online . Epic Credits never expire so you may take advantage or our quantity discounts without worrying about expiration dates. You never have to pay a renewal fee for your EPIC Account. All reports generated in EPIC are in PDF format. By using EPIC, you save valuable time and ensure greater accuracy. Customizing folders and sub-folders allow you to organize reports by division, department, training seminar date, or any other criteria. You’re free to move reports from one group to another as participants change responsibilities and roles, too. The EPIC platform lets you control whether a respondent is able to view their report. You may view, print, or email any report generated in EPIC. Get unique reports and features not available in paper profiles, such as added narrative description, group reports, and facilitator reports. Facilitator, Group, and Comparison reports are add-on reports that you may initiate AFTER an individual or group has taken a single report. In short, YOU gain administrative control and decide how and when access codes are sent and monitored. You’ll customize report branding and emails, generate custom reports and have access to all profiles in your personal “filing cabinet”. We also provide personal and webinar training on the EPIC platform and myriad of reports available to you and your organization. We’ll teach you how to assign online access to participants, distribute the reports individually and in batches and follow up with reinforcement opportunities when reports are completed using the MyEverythingDiSC.com website. We’ll keep you informed of updates to the system and new efficiencies discovered by clients worldwide.